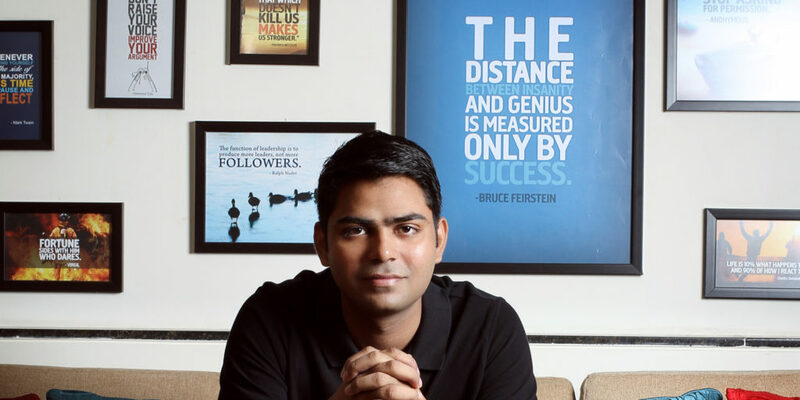 Rahul Yadav, the bad boy of Indian Startup ecosystem, after his exit from Housing.com started Intelligent Interface which failed miserably before it took the limelight. What went wrong? What you as an entrepreneur can learn from his journey with ii.? In 2007, Rahul Yadav, became the first person from Khairtal (a small town in Rajasthan) to crack IIT-JEE. With a lot of ambitions and dreams, he entered IIT Bombay as a metallurgy student. Soon he lost interest in the subject and got attracted to web designing. It was in his Hostel room, where Housing.com had its humble beginning. Before Housing.com, Yadav had developed Exambaba.com (an online question bank of old IIT papers) and Recharge123 (an online recharge portal). With just a few months left to complete the course the entrepreneurial bug bites him and he dropped out of IIT in 2011. He launched Housing in mid-2012. Intelligent Interfaces had a great beginning, the vision of (ii) was to provide intelligent data aggregation and visualization solutions to the Government of India, to make governance 100 times more efficient. The company raised total of 3 crores with the valuation of 170 crores from Indian cricketer Yuvraj Singh, Flipkart founders Sachin Bansal and Binny Bansal, PayTm founder Vijay Shekhar Sharma and Micromax co-founder Rahul Sharma. The launch announcement was made in September 2015 and there was no news about the (ii) after that for few months. Later it was found that in his team of 15, which was based out of YouWeCan’s office, most of them has left the company. Although there was report that, since Rahul was concentrating on improving his relationship, he got engaged and married; he couldn’t concentrate on his startup and it eventually failed. But that’s not the reality. “Why ii for government is not working out because no govt official is willing to take any decision in Delhi. All are afraid that even if they try to do something good, possibility is that they will be dragged in some sort of favoritism case by this country’s stupid media. Hence nobody wants to take any call even when they realise it’s a sensible solution. Before this country could even start its economic growth, its metro cities have already given up (Traffic Jams in Bangalore, Odd Even rule in Delhi, Pollution level in Indian metro cities). Forget catching up to US or China. Till you have stupid journalists in this country, there’s no hope. No one will come forward or will try to take the responsibility or fix anything. Interestingly it was found, Rahul was working with three other companies while he was with (ii). RY Advisory LLP – Registered in Mumbai, Directors (Azeem Adil Zainulbhai and Rahul Yadav) and Incorporated on 4th March 2016; Rental Solutions Private Limited – Registered in Gurgaon, Directors (Nishant Singhal and Rahul Yadav) and Incorporated on 4th March 2016; Tetres Advisory Private Limited – Registered in Gurgaon, Directors (Nishant Singhal and Rahul Yadav) and Incorporated on 25th February 2016. “ I spent half of the funding (1.5Cr out of 3Cr) on one Silicon Valley short trip. In nutshell, Rahul Yadav’s Intelligent Interfaces (ii) died before it came to limelight. What is in for the entrepreneurs? Building your personal brand is as important as building your product’s brand. If it wasn’t for Rahul Yadav, the Intelligent Interfaces wouldn’t have made news. Forget whether it failed or succeed, it surely made talk of the town when it was announced. That’s the power of personal brand. Think out of the boxes, you don’t need to create a “Me Too” startups. Take bold risks, provide unique solutions, and don’t be afraid to work on something which no one has ever worked on before. In simple, be a trend setter. Create a product for your audience, not for yourself. It’s good to have a great vision, but before you start working on your vision, you need to make sure you have potential buyers. There is no point in creating product no one wants. There should never be a situation that your operations are held up because you don’t have enough funds to run the show. Plan your operations based on the funds you have, prepare to raise funds in advance if your business demands to, manage your finances as you manage your business. Entrepreneurship is like Game of Thrones, only few get the thrones and others get thrown. Everyone will have to face failure someday, it’s not about failing but how you take it and bounce back. Winning and failing is just part of the game.